How do I register an account for Flight Rising? Stormlight Workshop's staff strives to maintain a positive and safe experience for everyone on Flight Rising. Occasionally, disciplinary action will need to be taken with players who are breaking the rules or disrupting/negatively impacting others. Though we dislike having to do so, it is sometimes necessary. In most cases, players will receive a written warning on their first offense, escalating with longer and longer suspensions and ending in account closure (depending on the severity of the infractions and the account's overall history on the Flight Rising website). 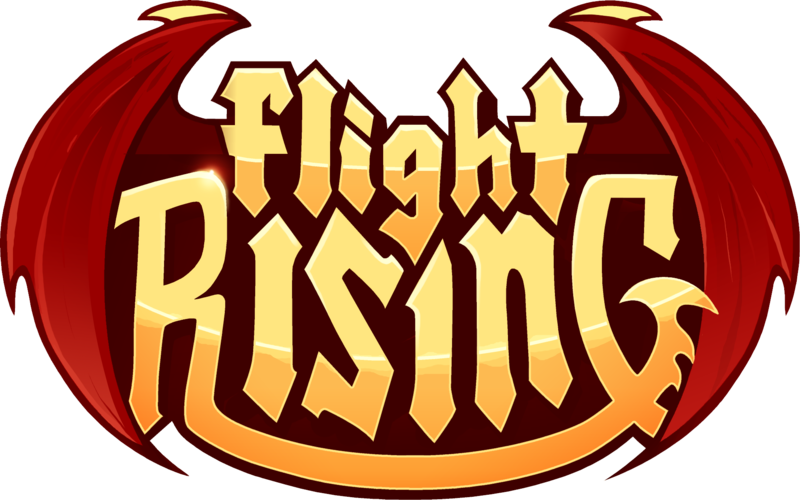 Players may request additional information or submit an appeal to Flight Rising Support through Contact Us. In order to maintain and protect the integrity of the site and a safe experience for the player community, it is our responsibility to ensure these terms are followed. NOTE: In more minor cases, wherein a term was not expressly broken but verbal conduct alluded to or encouraged players to do so, we may issue warnings via private messages, forum posts, or issue a site-wide statement. NOTE: The movement and moderation of forum threads is different from forum or account penalties. A thread or post being moderated does not automatically equal an account or forum warning, suspension, or closure. Account and forum penalties are reviewed on a case-by-case basis, with context, severity, and intent. In general, penalties follow a standard escalation: warning, suspensions of increasing length, and finally account closure or forum ban. However, severe or egregious offenses sometimes warrant escalation directly to suspensions, suspensions with final warnings, or straight account closure or forum ban. Players A and B have both posted a blacklist. Player A does not have a history of account penalties or harassment. Player A is given a warning. Player B does have a history of account penalties or harassment. They have already been warned for this kind of behavior. Player B's access to the website is suspended for 24 hours. The most common type of account penalty. A player's access to the site or forums is not interrupted at the warning level. Should this be the very first infraction, a player will be given a warning as a means to educate them of how they broke the rules. In most cases, warnings are given when the rules need to be stressed, but the offense is fairly minor in nature. The most common reason suspensions are issued is that the offending player is repeating behavior that they were already warned or educated about. In most cases, suspensions are given when the rules need to be stressed, but the offense is either excessive or repeated. Forum suspensions will restrict the ability to post to the Flight Rising forums. Account suspensions will restrict the ability to use the Flight Rising website. These suspensions can range anywhere from a few hours to a few days, dependent on the severity of the infraction. In general, the length of a suspension will increase with each repeated violation. Escalation of suspension length is subject to change based on severity and intent. In all but the most egregious of offenses, a final warning will be given before a player’s access to their account or the forums is revoked. NOTE: The creation of a new account after an account closure forfeits any open or pending appeal for the closed account. Forum bans occur when a player has grossly and repeatedly violated the rules and has typically been issued multiple forum suspensions. When a player has been banned from the forums, they will be barred from participation in our forums but still retain access to their account and can continue game-play normally. Attempts to get around the forum ban may result in account closure. If your Flight Rising account has been suspended or closed you may appeal to have the investigation reviewed again by submitting a support ticket and any additional information you would like to provide through our Contact Us page. The account owner is the only appropriate party to appeal the suspension or closure. The appeal cannot be submitted through friends, loved ones, relatives, or other Flight Rising players. The only appropriate method of submitting an appeal is through our Contact Us page. Remember that openly discussing specific players' account penalties anywhere on the site is against our rules and policies. Appeals that are redundant or abusive in nature may be closed without a reply. While we do offer an avenue to speak with us post-account closure, behavior that is repetitive or abusive is not tolerated. This includes appeals after a final review of the investigation has been conducted.